What Are The Benefits of Lemongrass Essential Oil? 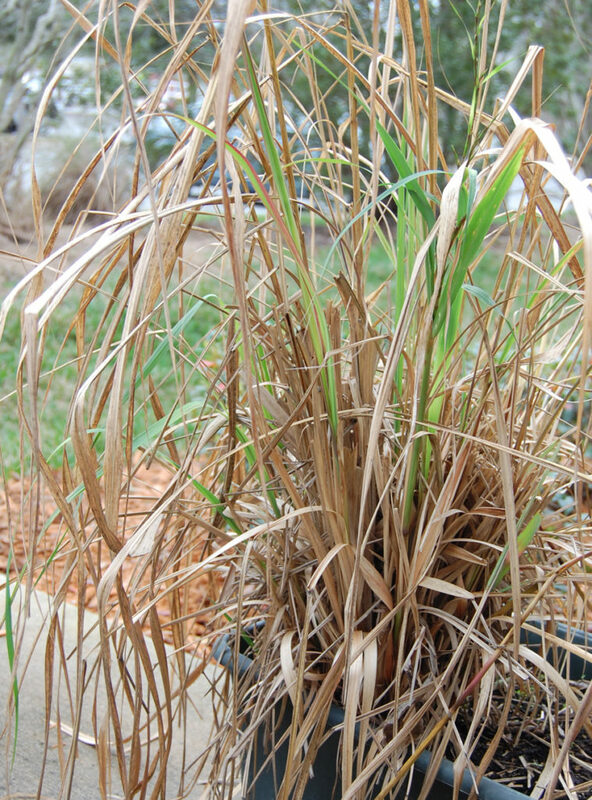 Lemongrass is a wonderful plant that is easy to grow in moderate climates. It looks a little worn from our cold weather here in north Florida, but it will flourish as the season warms, and it will survive the very hot summers here. At our northern Wisconsin location it must be replanted every spring or potted in order to survive the winters. It is very hardy, but it does take nourishment out of the soil, and so needs fertilizing. Lemongrass essential oil is made by steam distillation of the leaves, and creates a yellow-amber essential oil. The variety of lemongrass that I use is Cymbopogon flexuosus sometimes referred to as East Indian lemongrass. Lemongrass is closely related to Citronella. Both these herbs are from the genus Cymbopogon, and both of them repel insects. I think that Lemongrass has a fresher smell than citronella, and I like that lemony overtones in the essential oil. I use lemongrass in my insect repellent as one of the major essential oils. When I am camping, I use a reed diffuser with a little lemongrass and a little eucalyptus to keep the bugs away. If bugs are severe, a little lemongrass can be mixed with witch hazel to create a spray for pillows and clothing. Lemongrass is one of my favorite essential oil for lotions, because unlike real citrus lemon, it does not cause your skin to burn in the sun, but it still has that fresh lemony scent. Lemongrass diluted in lotion or oil has a healing effect on acne and disturbed skin. Its antiseptic qualities clear the skin and its analgesic qualities soothe it. A little lemongrass in a hot shower will sooth your skin and your nasal passages as it is lifted into the hot humid air. It is a favorite ingredient in Thai food. Usually the young grass is chopped into bite sized pieces, is processed to break it into fine pieces and is sprinkled over the tops of food or added to soups. Its subtle lemon flavor enhances the food without creating any bitter aftertaste. Lemongrass can also be added to chicken dishes or chicken soup to enrich the flavors. Lemongrass has tonic effects on your digestive system and will soothe and enhance the digestion process. An easy way to try lemongrass is in tea. Lemongrass can be added to tea or boiled in water to create a pure lemongrass tea. The soothing effects of the herb will help an uneasy stomach, or strengthen a healthy one. It is best to steep the lemongrass in hot water or hot tea, so that the essential oils move into the beverage from the leaf. Try this wonderful herb or its essential oil to tone your skin, and soothe your spirits and your body. If you have questions about any of our products, please don't hesitate to contact us by clicking here .